If you’re the owner of a Nexus device then you’ll probably already have received the latest Android 4.2.2 Jelly Bean update but this hasn’t yet rolled out to owners of the Samsung Galaxy S3 (S III) I9300, which is still running 4.1.2. However if you are one of the many Android device owners who like to customize your device then you are likely to be interested in a SlimBean 4.2.2 custom ROM for the Galaxy S3 i9300 that will give your phone a bounty of extra features that are not in the official build. 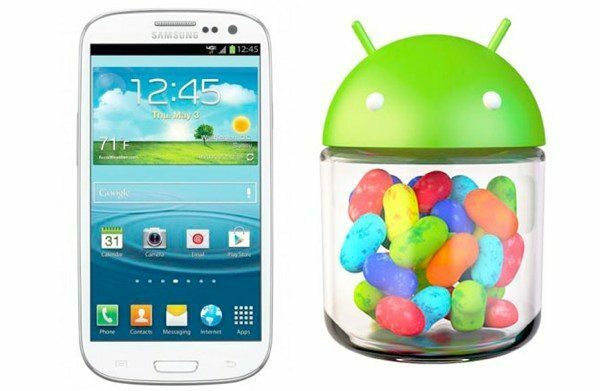 The SlimBean 4.2.2 Jelly Bean Build 1 custom ROM is now available for the Galaxy S3 model I9300 and this is the international variant of this popular smartphone. We must stress that this ROM is only suitable for that particular model number and is based on the JDQ39 Android 4.2.2 base. There are plenty of features offered by this ROM including the Shiny new DashClock, added slide before unlock, full configurable advanced reboot toggle, ability to limit notification sounds for intervals, addition of software HDR mode for the camera and much more. There is also a long list of fixes and optimizations that the ROM offers. If you want to use the SlimBean 4.2.2 Build 1 custom ROM then we must caution that at Phones Review we cannot be held responsible if anything goes wrong and you do so entirely at your own risk. However we realize that many of you are interested in using custom ROMs so like to bring you the latest developments regarding this. We’ll remind you again that this ROM is only suitable for the Galaxy S3 I9300 international model and if you try to use if for any other variants it will not work. If you are not sure which model of Galaxy S3 you have then please check before you begin. You’ll also need to install USB Drivers for the Galaxy S3 on your computer, enable the USB debugging mode and ensure you have a factory unlocked handset that’s rooted and has ClockworkMod recovery installed. Remember to back up all of your important data and make sure you have at least 80% charge on your device before you begin. The SlimBean Build 1 Android 4.2.2 Jelly Bean ROM, which is in beta stage, can be found at this SlimRoms download link and you will also need the Google Apps package. We recommend you check out detailed step-by-step instructions for installing this ROM at Vickyz here where you’ll also find full details of features, changes, known issues, warnings and prerequisites. We’d really like to hear back from readers about this Slim Bean Android 4.2.2 JB ROM for the Galaxy S3 I9300 so once you’ve checked out the instructions and installed the ROM please come back to us and send us your comments. How did the installation go and what do you think of the results? I’m running the SlimBean 4.2.2 Jelly Bean Build 1 custom ROM on Samsung Galaxy S4. It rocks! Operation of messaging is quick and smooth and predictive text quickly learns my lingo and is much smarter than factory version, and calling is streamlined and sensible – you choose a phone number, hit call and it calls! It truly is light and fast. I’ve experienced nothing negative – my GS4 is uncaged!